The U.S. Department of Agriculture says that at least half of the grains you consume each day should be whole grains like brown rice. Brown rice retains the bran and germ that are removed to create white rice, making brown rice a superior source of fiber, minerals like selenium and B vitamins such as niacin, folate, riboflavin and thiamin. Any type of long-grain rice can be "brown," says "New York Times" food columnist Mark Bittman, though the most popular types are Southern long-grain, basmati and jasmine rice. All take longer to cook than long-grain white rice and have a nuttier flavor and a chewier texture. 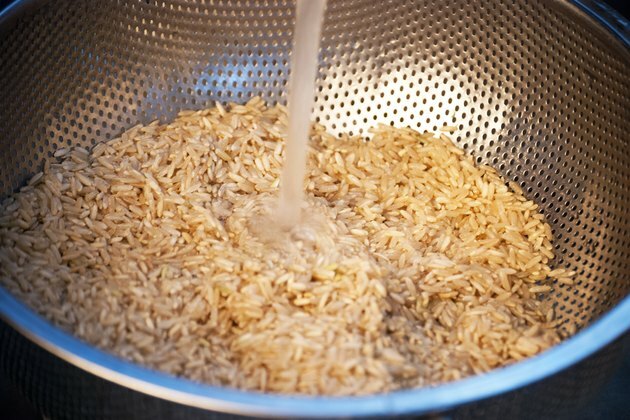 Place the long-grain brown rice in a colander or strainer and rinse the grains thoroughly under cool, running water. Allow the excess water to drain off. Put the rice in a saucepan. 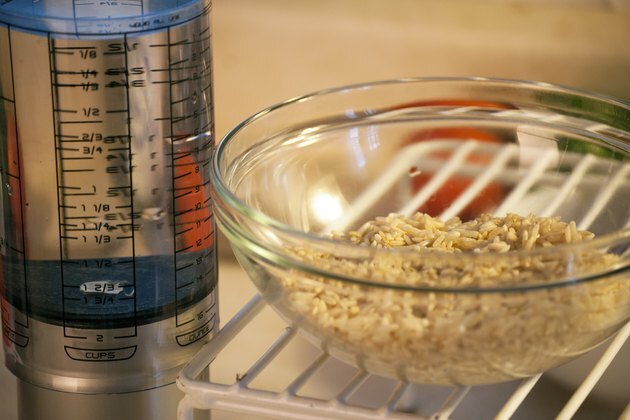 Add water -- approximately 2 cups of water for every 1 cup of long-grain brown rice. Stir in a large pinch of salt. Bring the water to a boil. 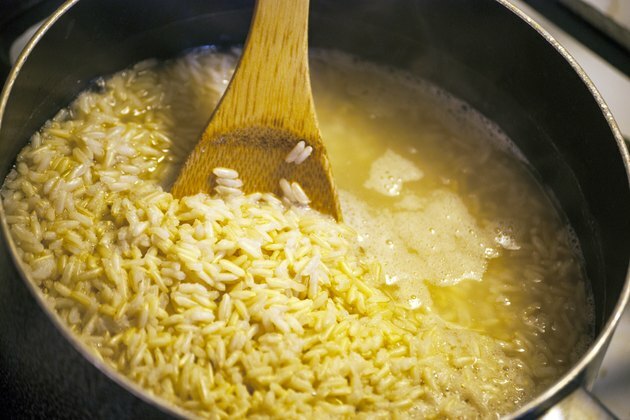 Stir the rice briefly, lower the temperature so that the mixture is at a gentle simmer and put the pan's lid in place. 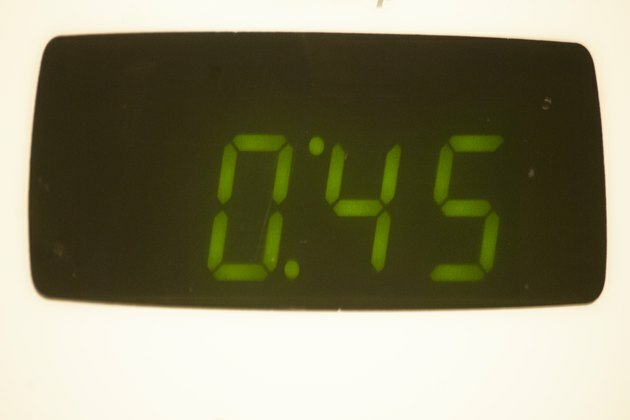 Allow the rice to cook for approximately 45 minutes. Add more water if you notice that the liquid has been fully absorbed before the cooking time is complete. Remove the pan from the heat and let it stand with the lid in place for about five minutes. Use a fork to fluff the individual grains. Plan on 1 cup of long-grain brown rice yielding 3 cups of cooked rice. You can substitute stock or another liquid such as coconut milk for some or all of the water when preparing long-grain brown rice. To turn plainly cooked long-grain brown rice into a flavorful side dish, mix in sauteed onions and garlic, minced fresh herbs or grated cheese. 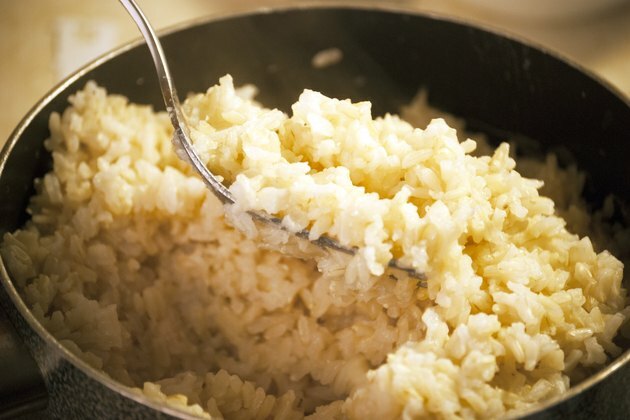 If you want to use long-grain brown rice in a recipe calling for white rice, simply parboil the brown rice for approximately 15 minutes, drain, then use the rice as you would white rice, says Bittman. Do not skip rinsing the brown rice. 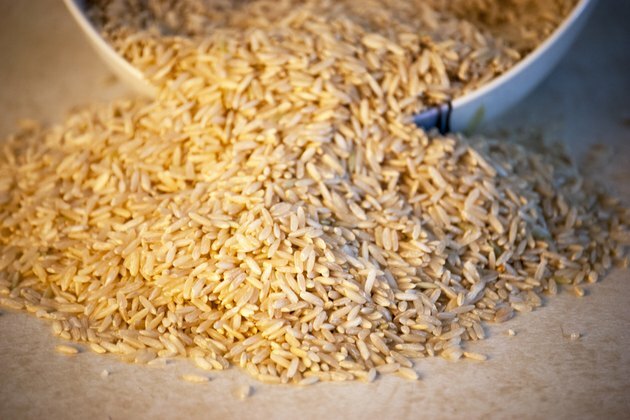 The Food and Drug Administration says that brown rice may have a high level of arsenic; rinsing brown rice thoroughly can lower the arsenic content by as much as 30 percent. You can also decrease the amount of arsenic in brown rice by cooking it in a large amount of water -- 1 part rice to 6 parts water -- then draining the finished rice, though you will lose essential vitamins and minerals. ChooseMyPlate.gov: Grains - What Foods Are in the Grains Group? ChooseMyPlate.gov: Grains - Why Is It Important to Eat Grains, Especially Whole Grains? How Many Calories Are in a Vegetable Stir-Fry?